Casson was a noted cartoonist, selling his first cartoon to The Saturday Evening Post at the age of 17. His work appeared in nearly all the leading periodicals of the time. He is best known for the comic strip Boomer and the daily comic Redeye. 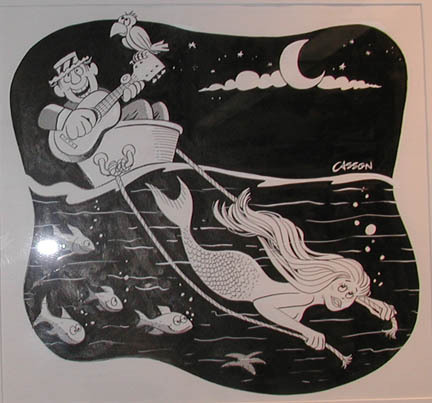 Casson, Mel, “Guitarist & Mermaid,” Westport Public Schools Digital Collections, accessed April 24, 2019, https://collections.westportps.org/items/show/520.